The whole conference is an own goal for the Trump administration. Instead of showing unity with its allies it now only demonstrates the depth or their disagreement. 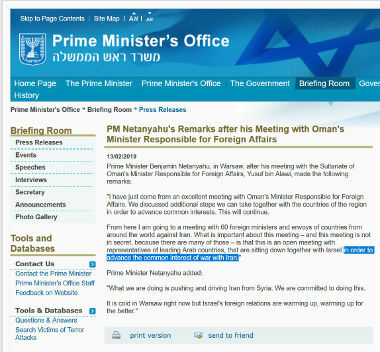 Netanyahoo’s statement may help him to win some votes in the upcoming election in Israel. But the hoped for alliance with the Gulf Arabs is now as far off as it has ever been.